Take the plastic pry tools, insert them into the backplate and carefully slide them up and down to separate the faceplate from the backplate. 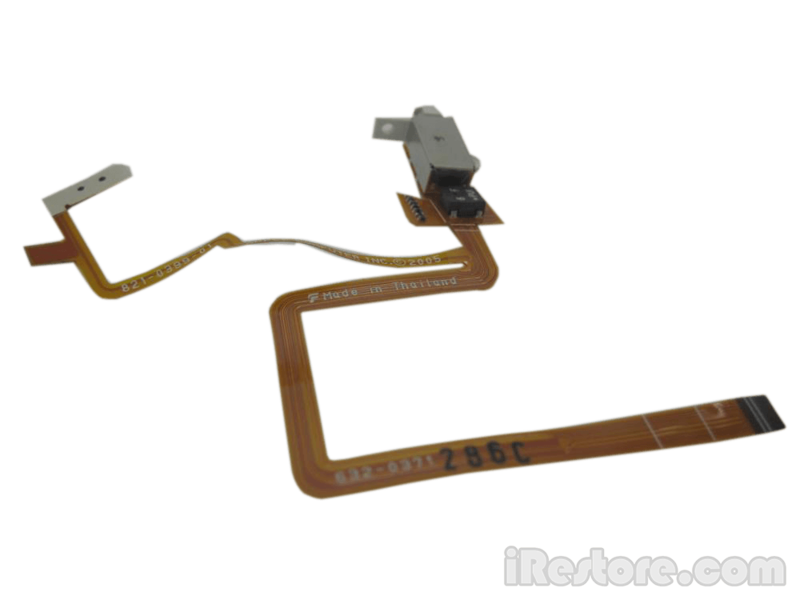 Lift the hard drive carefully upward to unlatch the headphone jack cable from the logic board. Now that the headphone jack has been removed from the rest of the device, pry the battery away from the backplate. Be careful not to puncture the battery with your tool. Unscrew the 3 black screws and 1 silver screw from the inner frame and remove the headphone jack and hold switch from the backplate. Unscrew the single silver screw holding the plastic hold button from the headphone jack, then separate the hold switch from the metal plate. The old headphone jack and switch can be discarded. Attach the replacement switch to the plastic hold button, then insert it back into the inner backplate. Insert the replacement headphone jack into the bracket and screw the 3 black screws and 1 silver screw back into place. Place the battery back into the backplate, insert the cable back into the logic board, then close up the case. Don?t forget the hard drive insulators. You?re done!